What is Project Based Leadership Training (PBLT)? We teach people of all ages HOW to manifest the qualities of The Martial Arts outside of the realm of a punch, kick or throw technique. We teach How to apply Focus, Confidence, Leadership, Discipline & Respect in a meaningful way that makes a difference & in their everyday life. Projected Based Leadership Training (PBLT) is an opportunity for experiential learning for children and adults. 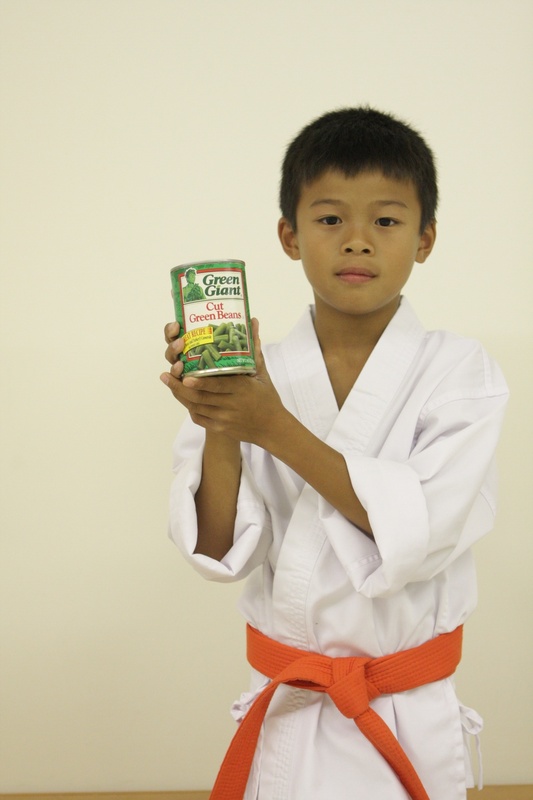 PBLT is a practice of leadership, confidence, focused effort, execution and organizational skills we teach at TheDOJO. We take the qualities of the martial arts out of TheDOJO and into the world to make a difference. We facilitate ideas for worthwhile projects among our students who then, either participate in or create and spearhead their own projects. I personally really enjoy the spontaneity, creativity and synergistic cooperation I see our students employ in executing these projects. Our Project Portfolio represents through written word, photographs and video some of the projects performed by TheDOJO and it's students while "Unleashing Human Potential." Please Enjoy. This Short video documents the creation of “The Butterfly Mural” constructed by Artist Kim Christian. 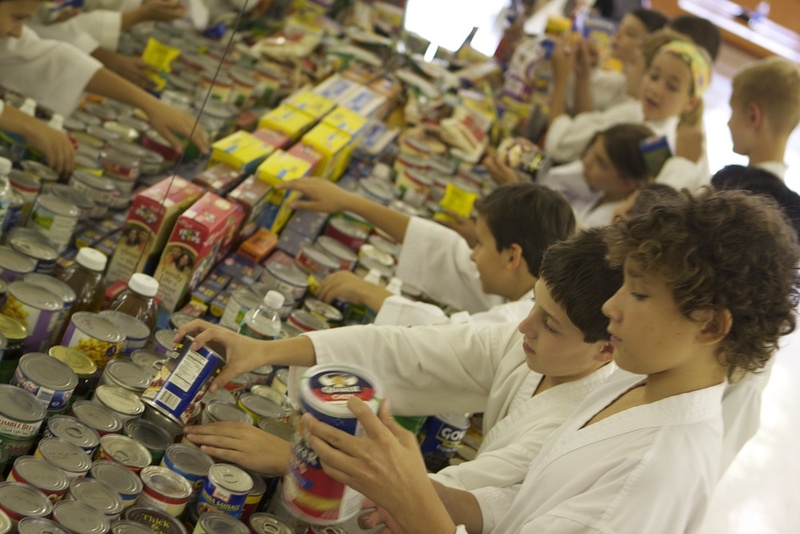 TheDOJO Food Drive is a project which teaches children that they can make a difference while learning leadership skills lasting throughout life. Some years ago Sensei Dan Rominski Chief Instructor of TheDOJO, his martial arts school in Rutherford NJ, saw an article in the newspaper. It mentioned that during the summer months donations are low due to everyone being on vacation"i pointed to it and said let's own that!" Says Sensei Dan Rominski. 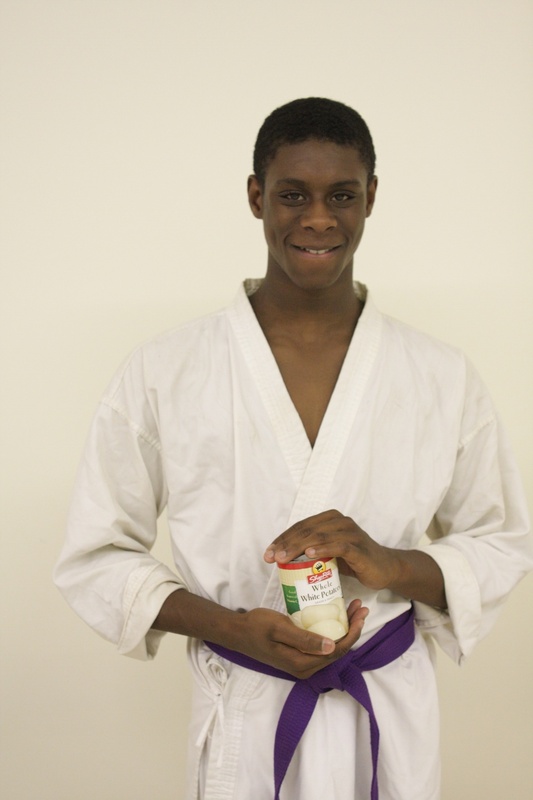 Since then each summer TheDOJO Food Drive has collected cans of food, school supplies, personal hygiene products and cash donations used for gift cards for fresh fruits and vegetables. In the year of 2016, that summer alone TheDOJO collected 5,280 items (That's one mile of food) and cumulatively over 13 years over 32,000 items collected and donated to The Rutherford Food Pantry. This all goes on to directly help people and families in our community. 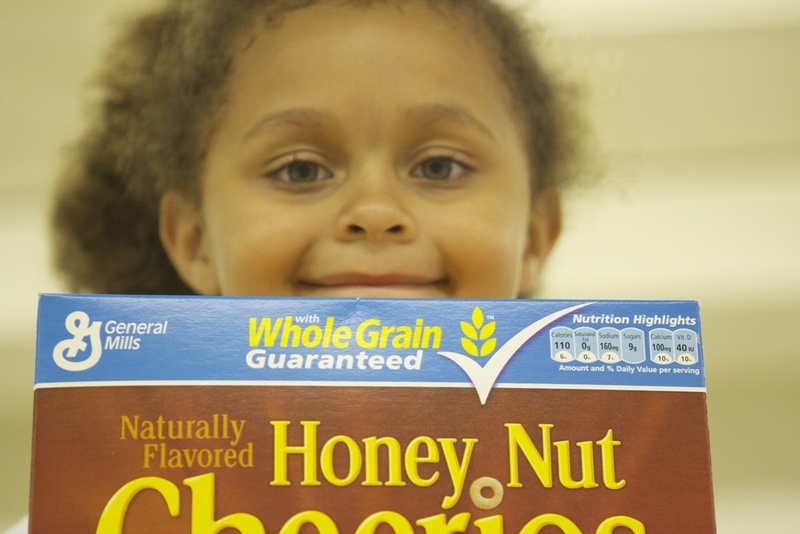 5 Year Old Twins Raise over 1,000 Food Items...and then do it again...and then again! 5 Year Old Twins Raise 1,000 cans of Food for their Project Based Leadership Training, then they do it again the next year at age 6 and again at age 7! 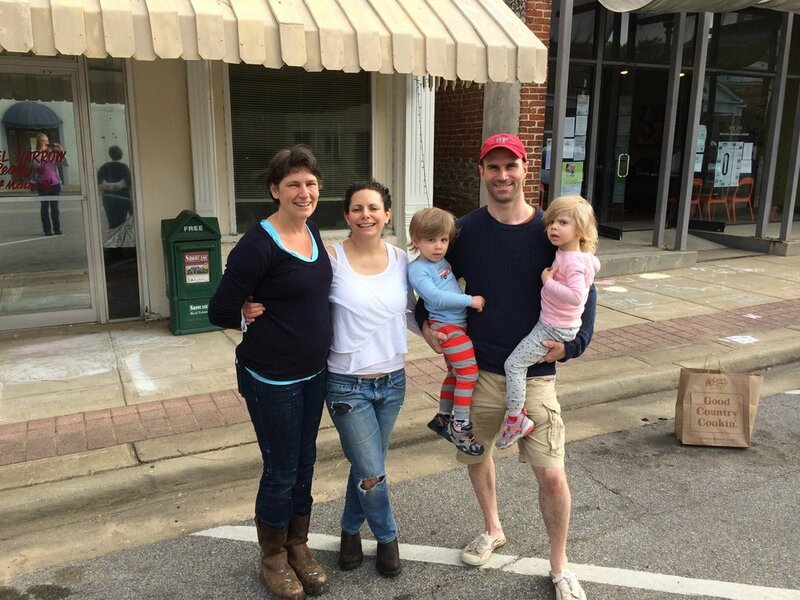 With the help of their parents they asked permission to station themselves outside of a local grocery store where they distributed a list of needed items for the food pantry to shoppers entering the store. 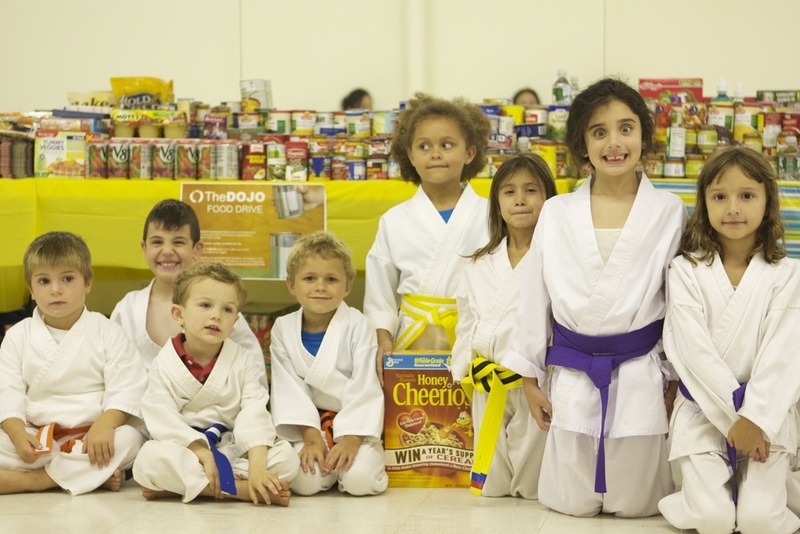 As shoppers exited the grocery store they smilingly handed bags of groceries to the children for the TheDOJO Food Drive. Project Based Leadership Training or PBLT is teaching people of all ages how to manifest the qualities of the martial arts such as focus, discipline and confidence out of the martial art school and into one's everyday life and beyond the realm of a punch kick or throw technique. We teach people to make a difference at TheDOJO, this is one way we unleash human potential. Julia, then a black belt candidate, for her Project based Leadership Training organized TheDOJO Book Drive. 1,000 books were donated in a month’s time, enough to start and fill an entire library at St. Mary’s Elementary School in Rutherford. Her desire for accomplishing this projected stemmed from her knowing that the school was in need of a library so she to action and made a difference. 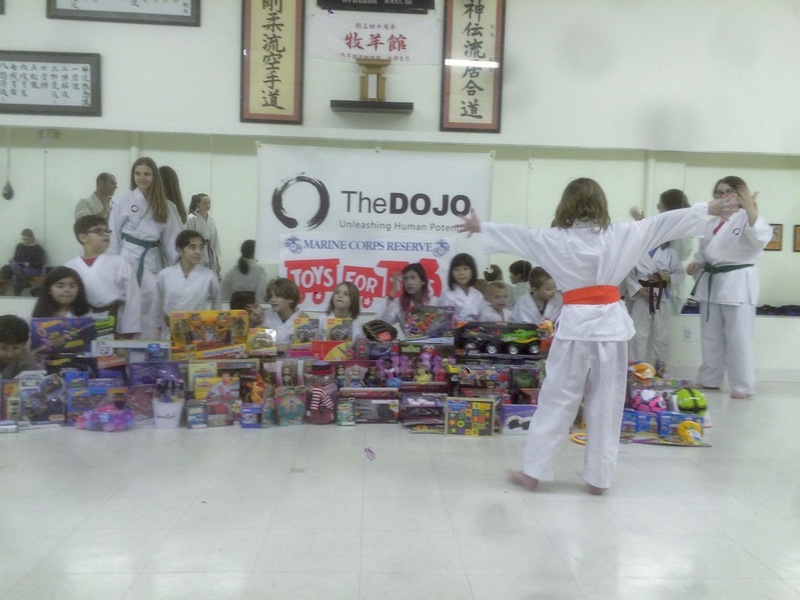 She went on to earn her black belt at TheDOJO and took with her the leadership skills such as confidence, planning, organizing & executing with her into her everyday life. .
TheDOJO is proud of the efforts of all of its students in recognition of its 5th Annual Halloween Candy Drive to support Operation Jersey Cares. In honor of Veterans Day, students were asked to bring in their excess Halloween candy to donate to our armed forces. TheDOJO’s Sweet Salute was conceived of and spearheaded by Maria Scala, one of its students, working on her Project-Based Leadership Training through TheDOJO’s intelligent curriculum. The candy provides a little sweetness to those men and women far from home serving their country overseas. It also serves as a way for our soldiers to share something special with the children they encounter for whom candy is a true luxury. The candy donated filled 16 shopping bags weighing in at approximately 330 pounds! Marine Sergeants Domenick Monaco and Mario Monaco were on hand to thank students in person. TheDOJO’s Sweet Salute is but one way that its martial artists take their training out of TheDOJO and into the world. 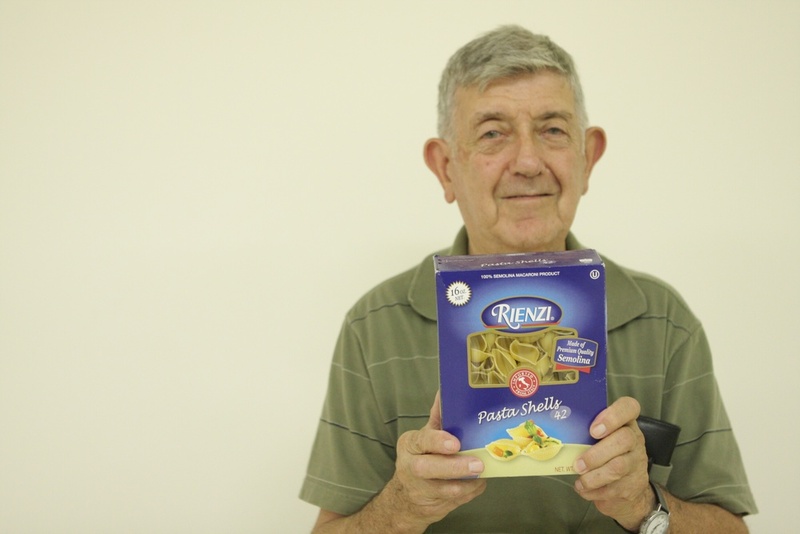 We’ve made up our mind to make a difference and unleashing human potential is our mission. 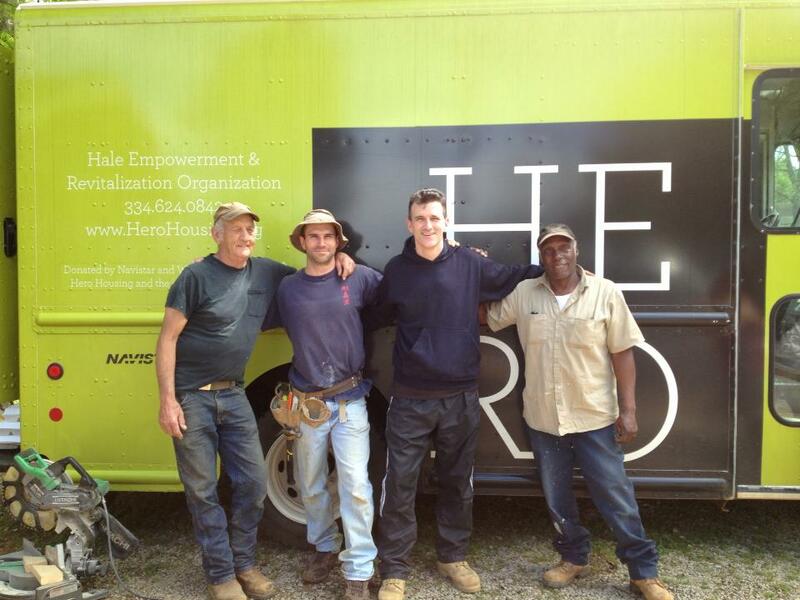 Here’s how we do it…The Philanthropy of TheDOJO through Project Based Leadership Training. If someone is looking to make a difference in our world a simple start is performing an act of kindness for a child (most likely it will be remember throughout their life). TheDOJO Toy Drive collects new and unwrapped toys for Toys for Tots during each Holiday Season. 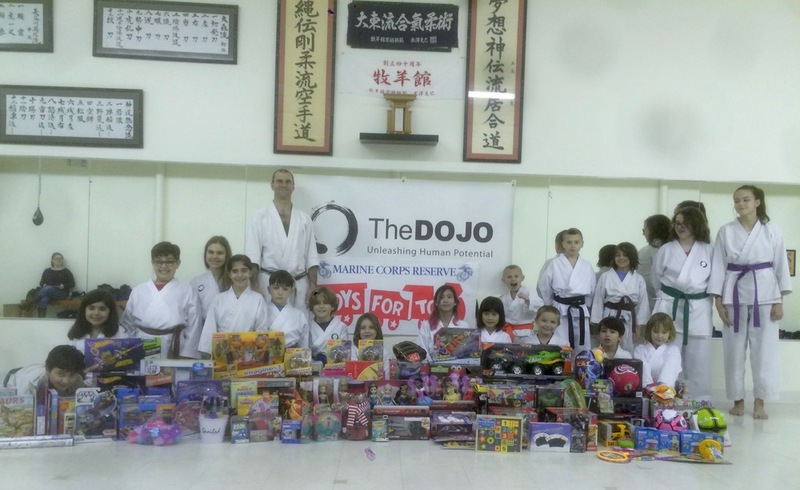 Over the years TheDOJO Toy Drive has raised hundreds of toys for Toys for Tots, a military organization who distributes the toys to children who are without. Last year 20,000 toys were handed out, that equates to 20,000 smiles of children. What better way to instill a sense of hope in a child’s heart than through compassion? Toys for Tots also donates, all throughout the year, toys to children in our locality that are victims of disasters such as storms and house fires. Leadership Team member of TheDOJO and Black Belt, Mark Balaz, has been training at TheDOJO for over 20 years. As part of his Project-Based Leadership Training at TheDOJO, he has spearheaded the Rutherford Community Blood Drive since 2008. 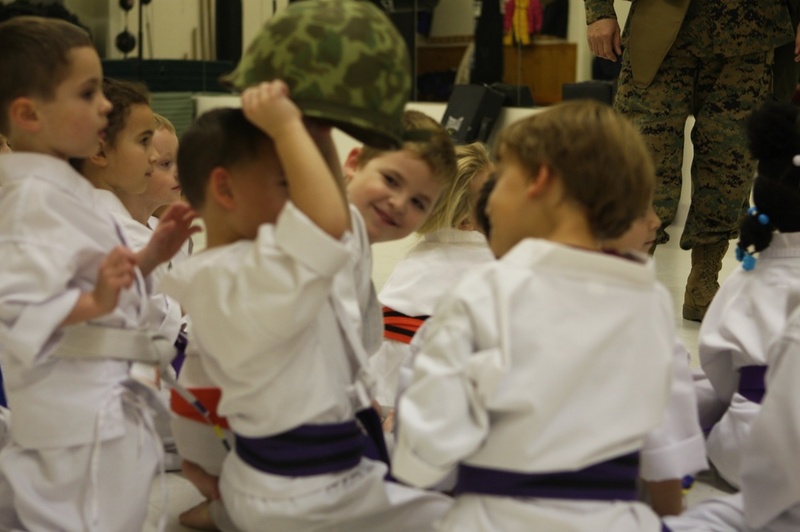 TheDOJO’s martial arts education is comprised of an Intelligent Curriculum specializing in taking our martial arts training out of TheDOJO and into the world - and this is but one example of how we achieve that. Established in 1975, TheDOJO is celebrating its 40th year unleashing human potential. Remember that every 2 seconds, someone needs blood. If only 1% more of Americans donated, blood shortages would disappear. Be part of the solution and show your support for this very worthy cause. The Rural Studio and those continuing the work of Samuel Mockbee. We’ve built, constructed, and refurbished houses, community youth centers all while making a difference. It is an amazing experience! One senior citizen mentioned to me, “This will be the only Valentine’s Day card I get this year.” Think about it, some senior citizens have spouses and friends who have passed away. Aging can be lonely but not if you have 50 kids in karate uniforms hand you a Valentine’s Day card with their bright smiles and laughter! This project sets a stunning example for our children to show respect, kindness and love to our elders. In “parenting” we call this a teachable moment and teachable moments are always an opportunity for children to learn and experience life lessons which shape their character. Childhood is the training ground for later on adult behavior and as a parent I constantly think of what I am teaching our children today which shapes who they are for their tomorrow.